A very entertaining at Nats Park. The 2018 MLB Home Run Derby was an absolute blast to watch, and it featured plenty of ridiculous blasts. 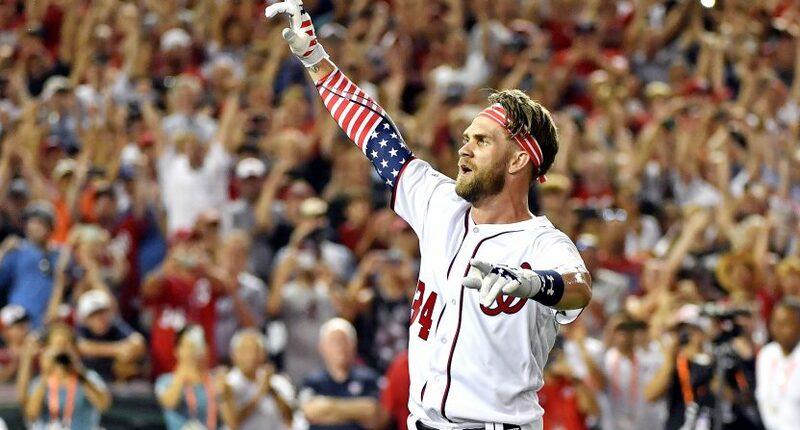 The Washington Nationals’ Bryce Harper came away victorious 19-18 in an awesome final round against the Chicago Cubs’ Kyle Schwarber. And Harper got to do it at his home team’s stadium, Nats Park. Harper went on a ridiculous run in the final minute — before a bonus 30 seconds — to tie Schwarber at 18. Harper is getting choked up a bit during his press conference. Really elaborating on what this place and the people here mean to him. Just haven’t seen this side of him in so long.